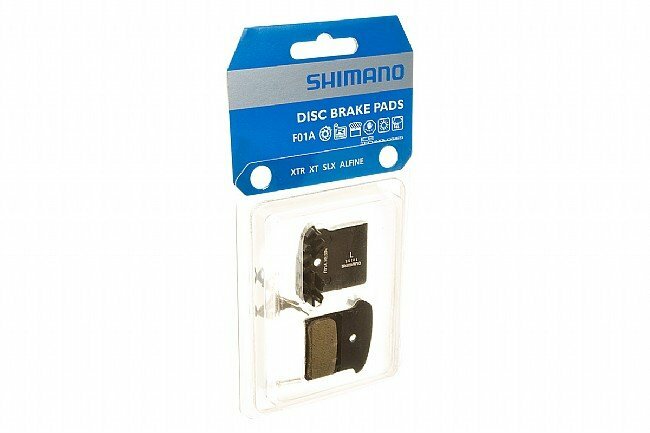 The Shimano F01A is an affordable pad set for newer XTR, XT and SLX Disc brakes. The resin compound provides excellent modulation and stopping power, while special aluminum fins provide cooling under heavy braking. The Shimano F01A Resin Disc Pads are compatible with XTR BR-M985, XT BR-M785, and SLX BR-M666 calipers. Each set includes two pads and a spring, enough to retrofit one caliper.